Enchanting vistas for your dining pleasure. This amazing, beachfront, 2 story home has an open floor plan that sleeps up to 10 people, with 3 bedrooms and 2 1/2 baths. You will love the dramatic beach and ocean views from every bedroom and living area in the house! 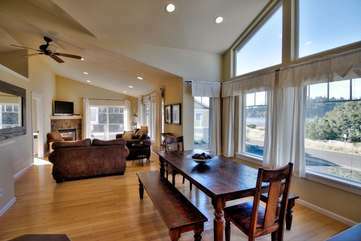 Enjoy the floor to ceiling windows and ocean front view in the downstairs great room. The 2nd floor living room can be made into a bedroom with a queen sleeper or used as another place to gather to play board games and watch the waves! The home has a gas fireplace, central heating, a large ocean front deck overlooking an expansive, sandy beach, all providing the ultimate peace and relaxation. 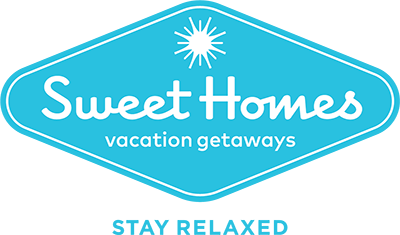 We provide free WiFi, & tv/video game room, a billiard/darts/air hockey room, a gas grill, a stereo system with iPod dock, and collections of games, puzzles, CDs, DVDs, and more, for your enjoyment during your stay. We love to open the windows and listen to the waves, sleeping to the rhythmic sound of the surf. Whether watching whales or waves, sunrises or our famous Oregon coast storms, this home is perfect for a family vacation or a romantic getaway. Sleeps up to 11 - 3 Bedrooms, 1 King, 2 Queens, 2 Queen Sofa Sleepers, & 1 Twin Sofa Sleeper, 2 1/2 baths. Standard: 2 night minimum; Summer & Holidays: 3-4 night minimum. **Oct. 1st - May 31st The third night is FREE - excluding holidays - please send inquiry for exact pricing. (lowest listed rate is free) ** Cancellations & Refunds: The total cost of the reservation, less a 10% service charge, is refundable up to 45 days prior to check in. After the 45th day to check in has passed, there is no refund. Check-in any time after 4:00pm on your date of arrival. Age Requirement: The primary registered guest must be at least 26 years of age. The majority of guests must be over 25, or children under adult supervision.